Phat! 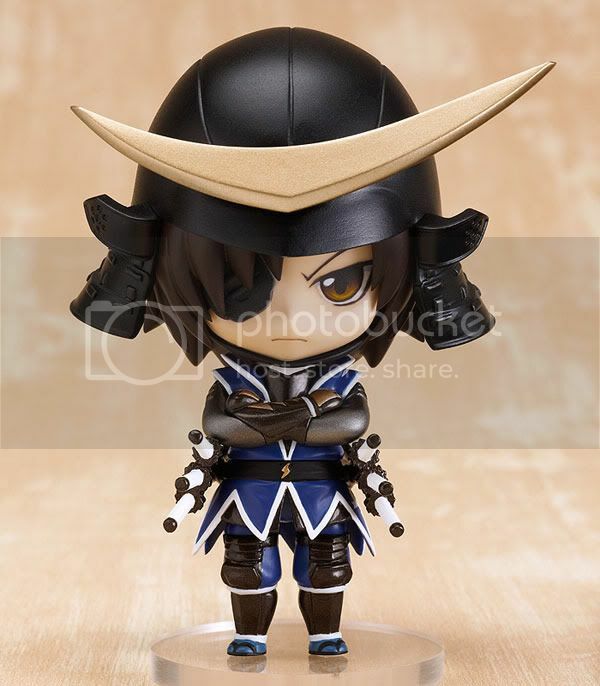 is going to release the Nendoroid Masamune Date action figure from the game/anime Sengoku Basara. 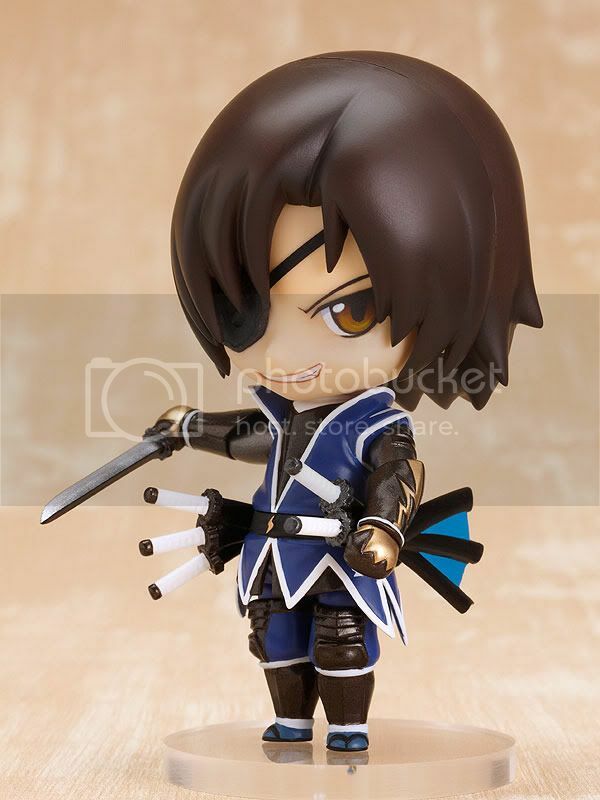 This figure is approximately 100mm in height and will be released in January 2011 around 3,333 yen. I have some disappointment on this figure. 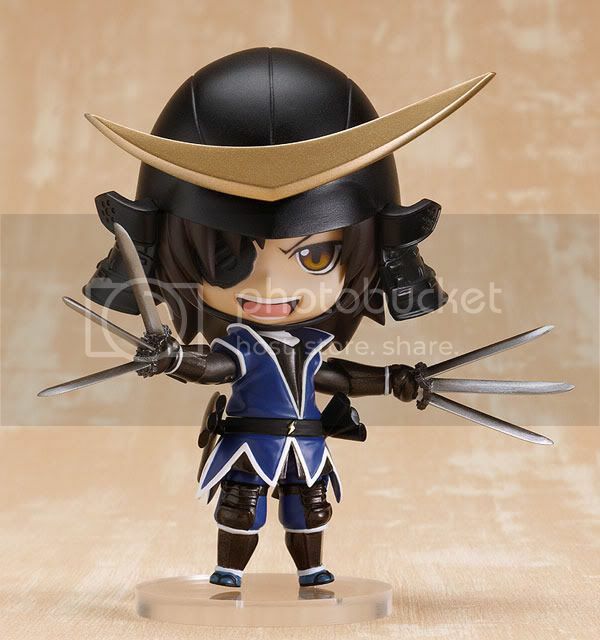 The first is Masamune's katana sheaths. They look crappy and didn't look like a real sheath. 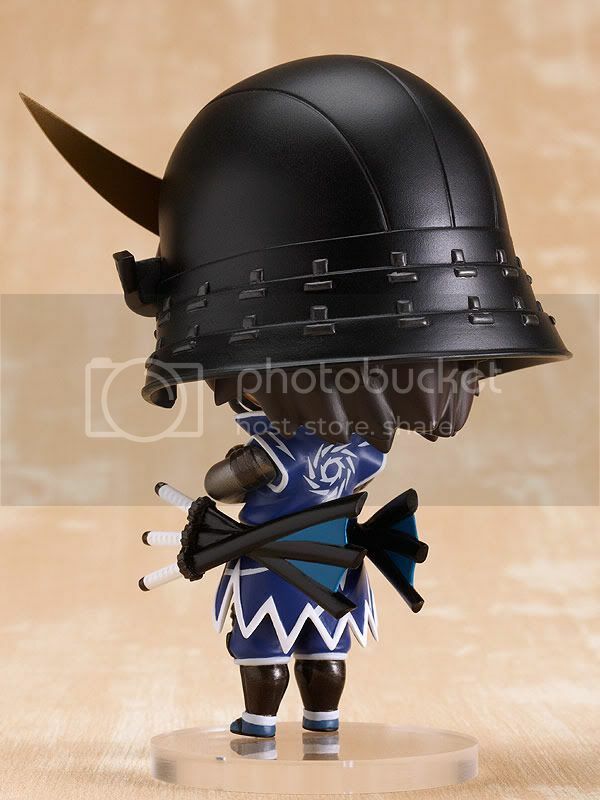 Second and also the biggest disappointment within this figure is this Nendoroid doesn't even included with the replacement part for the legs, which is means you are only enable to create dramatic pose only for the upper body.